Painted Turtles are among the most colorful families of aquatic turtles in North America, and they can make highly personable pets in the home aquarium. These docile turtles love to bask so much that they were once called Sun Turtles. 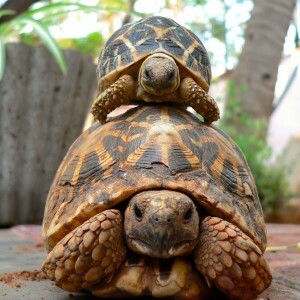 The smallest of them grow no larger than 5–6 inches straight carapace length (SCL), and the largest can reach 10 inches. 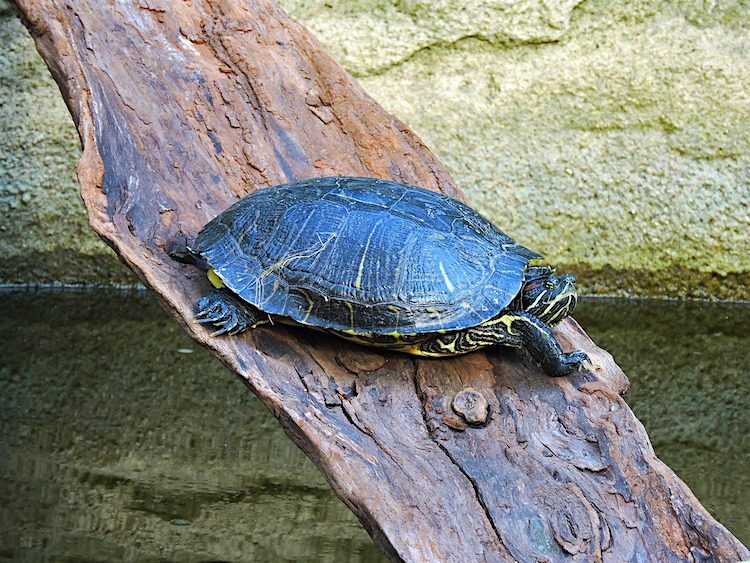 How long do Painted Turtles live? 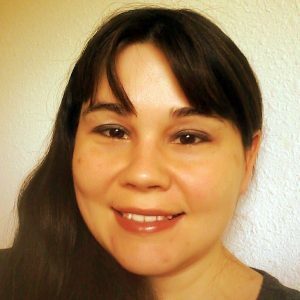 Some can go on to live to 2–3 decades if well cared for. Painted Turtles have bright red and yellow markings on their skin and wear lovely muted orange and olive color patterns on their shells. The Western Painted even has a red plastron with yellow markings bordering black splotches. Four different subspecies are found within the United States, from the Atlantic to Pacific and as far north as Canada. 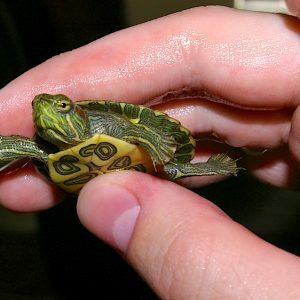 The smallest of all the Painted Turtles, the Southern Painted Turtle grows only to about 5–6 inches SCL. Some males stay at the 3- to 4-inch mark. Southern Painted Turtles have a light orange dorsal stripe running down the back of their brown or olive-colored carapace. They also sport yellow and red striping on the head and arms. 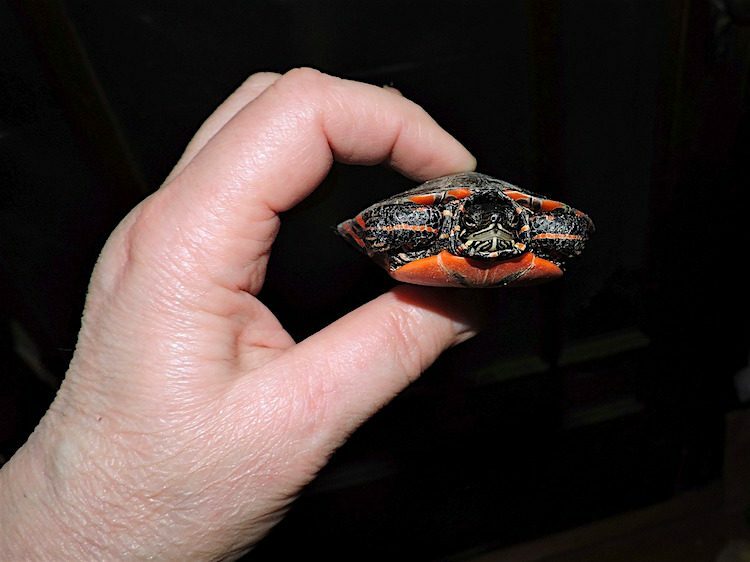 The Midland Painted Turtle has yellow striping from the tip of the nose down to the neck, usually shifting to red. Red striping is also present on the legs. The carapace comes in shades of olive to dark green with red borders along the edges of the scutes. The Eastern Painted Turtle has a large yellow dot on either side of the head and yellow striping that changes to red down the neck. The legs also have red striping, and the carapace has bright-red crescent shapes along the marginal scutes. Male Eastern Painted Turtles can grow to 4–6 inches in length, while females can reach 6–8 inches. 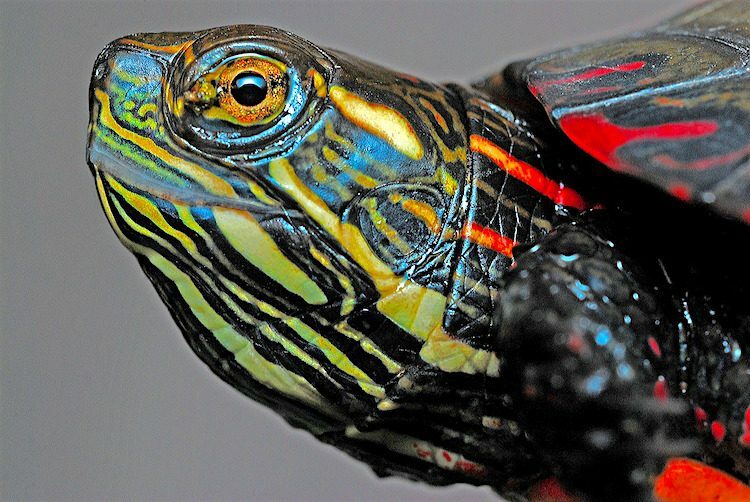 The largest and most colorful, the Western Painted Turtle has vibrant yellow striping on the head and legs, and its plastron is red with black and yellow blotching. Male Western Painted Turtles get to be about 4–6 inches, and females can reach 8–10 inches when fully grown. Good filtration and space are musts for Western Painted Turtles. A 75-gallon aquarium will allow decent swimming space for Painted Turtles on the smaller scale, usually males. For females and the larger Western Painted Turtle subspecies, provide 125 gallons and up. Keep the water around the low to mid-70s F.
Basking temps should be in the range of the high 80s to low 90s F.
You’ll need to provide a heat lamp and UVB light source for Painted Turtles over the basking area. These turtles will bask right on schedule to get the heat and UVB rays they need. Once acclimated, these turtles will become tame, often begging for food or simply seeking out interaction. Painted Turtles appreciate not just the sun but also steady warmth in their habitat. If you’re keeping Painted Turtles in outdoor ponds, provide a terrestrial hibernation site in the winter with piles of leaves, mulch and hay. With the exception of the Southern Painted, the other subspecies should hibernate just fine. Be sure to house Southern Painted Turtles indoors for the winter if they normally live in outdoor ponds. For indoor setups, you can keep the water warm by using submersible heaters and maintaining the temperature in the 78–82 F range. It’s a good idea to also use a floating thermometer, just to check from time to time in case the heater stops working. 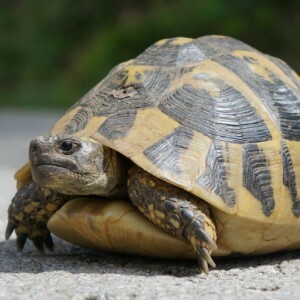 To avoid your turtle burning itself, use a piece of PVC to create a casing around the submersible heaters. Drill holes all along the pipe to allow the heat to flow out, then insert the heater within. Painted Turtles aren’t just colorful aquarium conversation starters — they’re also fun, interactive pets. As long as you meet their care requirements, Painted Turtles can give you and your family years of enjoyment. Be prepared to have an experienced reptile veterinarian on hand for checkups and any potential illnesses.